Hannah and I are spending a few days with family in Portland (Victoria, Australia) these school holidays. It’s so nice to be sharing some time together… and I’m already feeling a little sad about returning home. 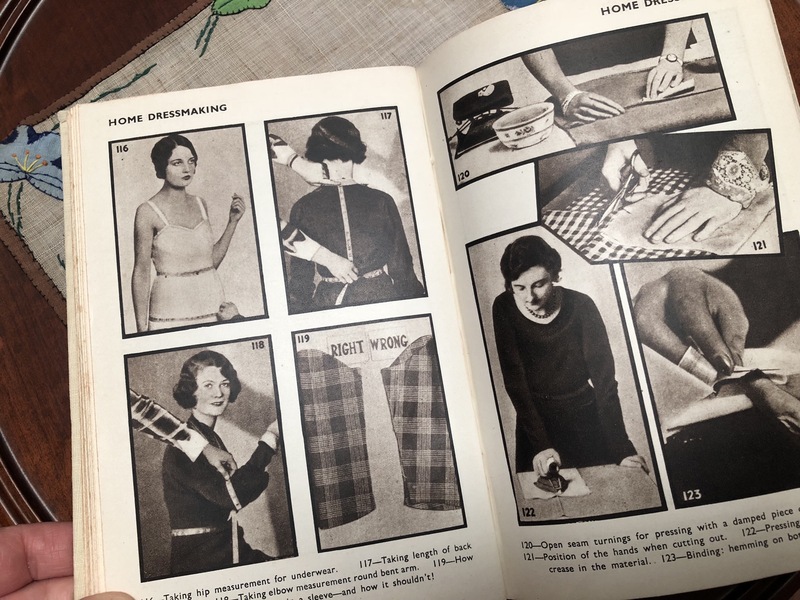 Mum seems to find the best of vintage treasures, and I thought you’d enjoy seeing 2 in particular. 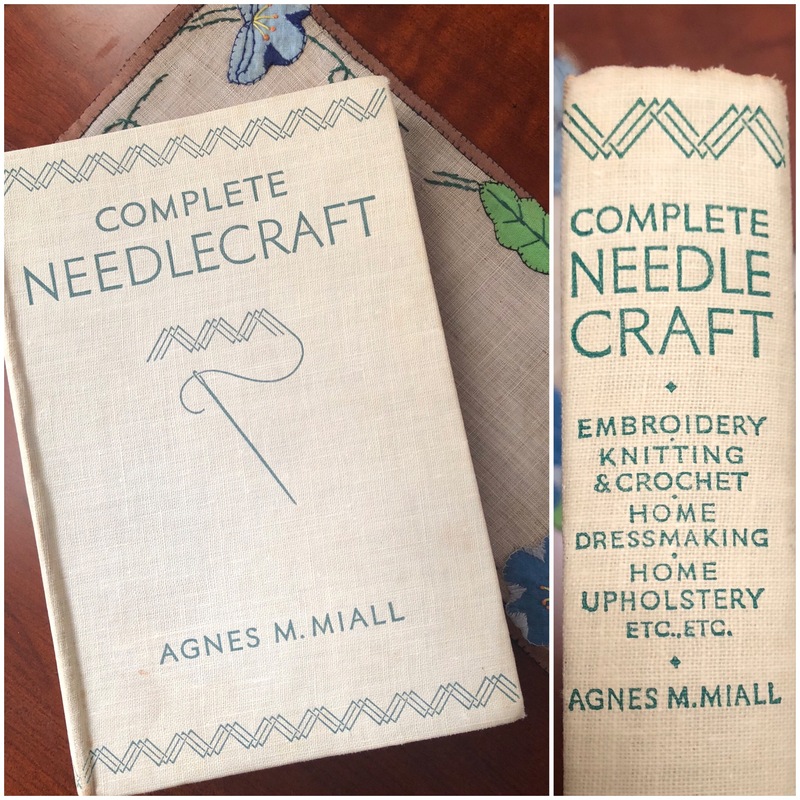 “Complete Needlecraft” by Agnes M. Miall. 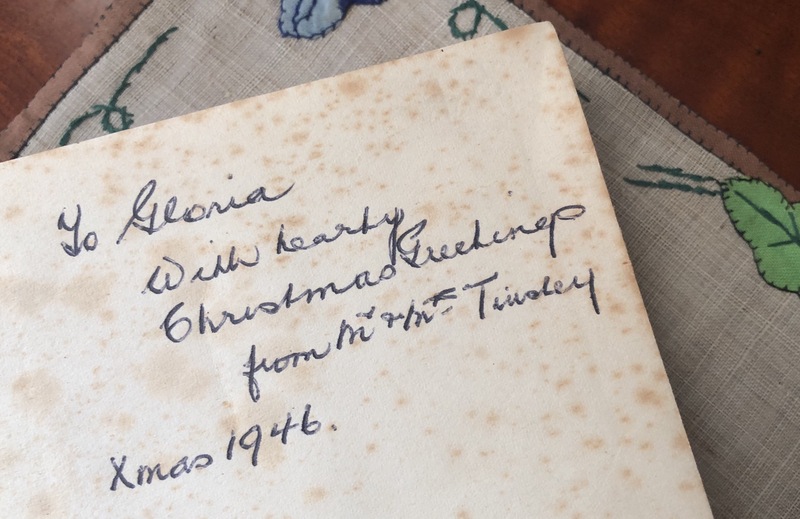 Originally a Christmas gift given with “hearty greetings”, I’m happy that Gloria kept such great care of this treasure, so we can enjoy it today. I have loved browsing through these pages this afternoon. Wishing I could find a few days to properly read and soak in all the gems hidden in them. So many tips, techniques and summaries… completely relevant, yet historical in context. 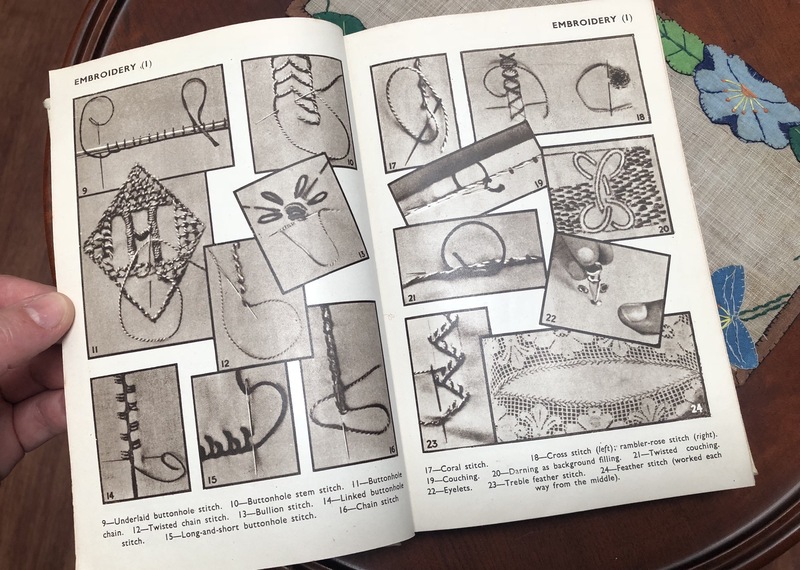 Lots of photos follow… but I wanted to share some of my favourite pages with you. 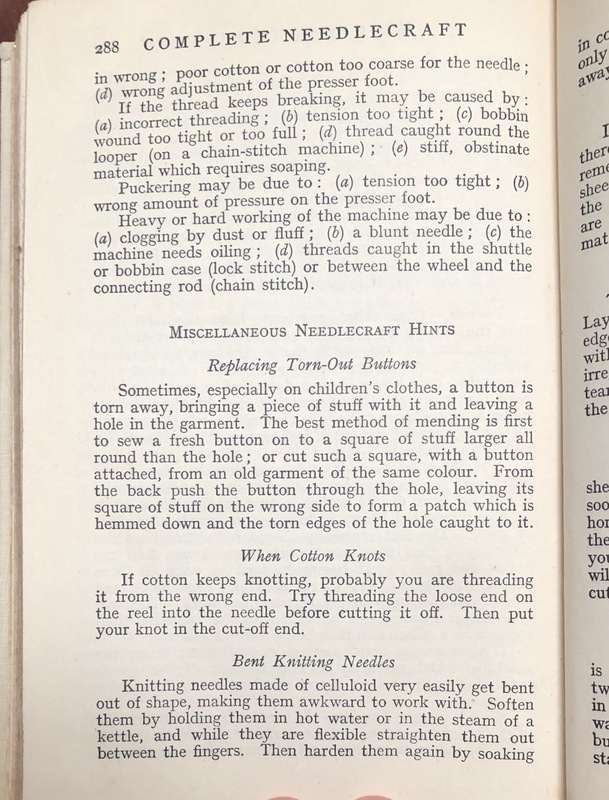 The description of patchwork is wonderful, especially the first sentences! 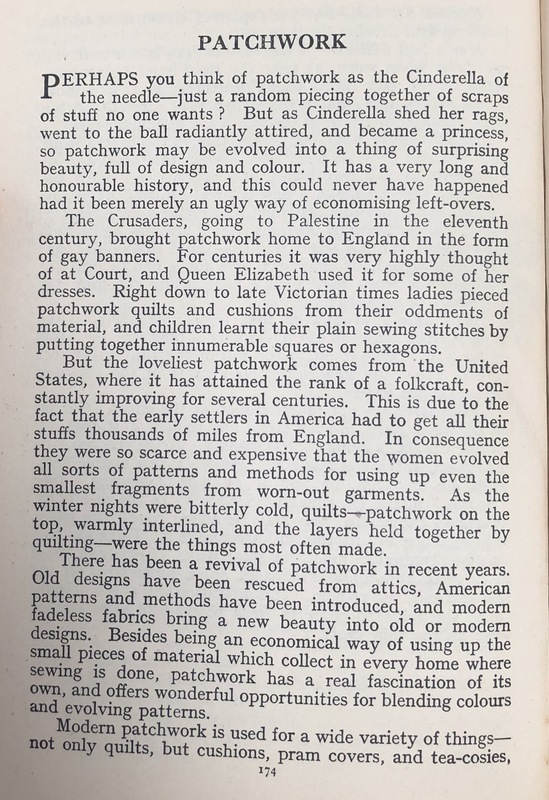 This chapter goes on to describe the four distinct types of patchwork, being “Crazy Patchwork”, “All-over Geometric Patchwork”, “American Block Patchwork” and “Quilting Patchwork”. 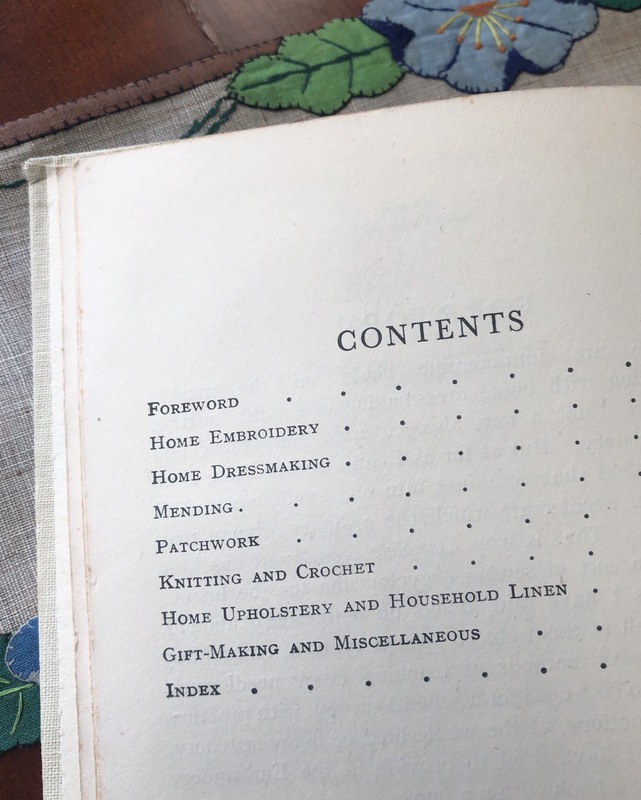 The history of each variety is given, along with the defining features, the functional purpose of each and the specific fabrics and thread used. 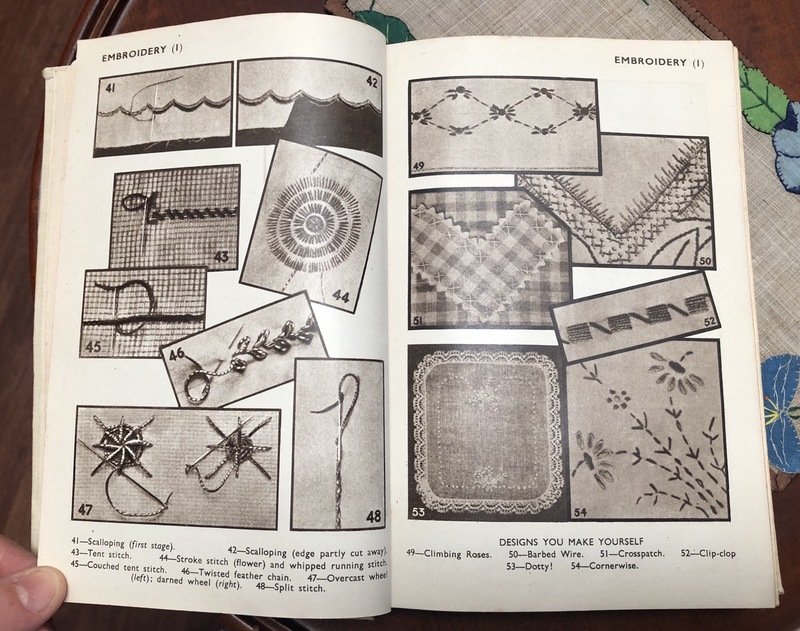 The catalogue of embroidery stitches is vast, each one described in detail along with tips and suggestions for application. How about a slimline knitted vest for the cooler months? 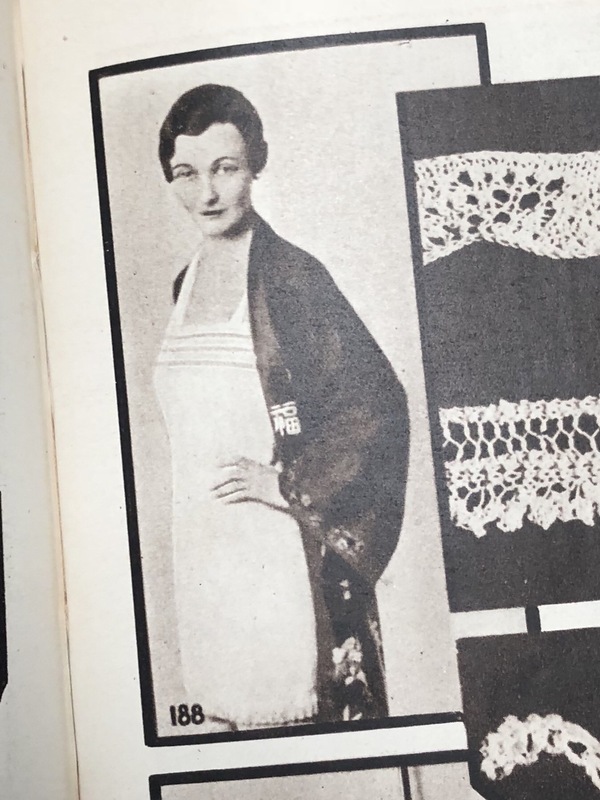 Or maybe an embroidered kimono or teacosy? 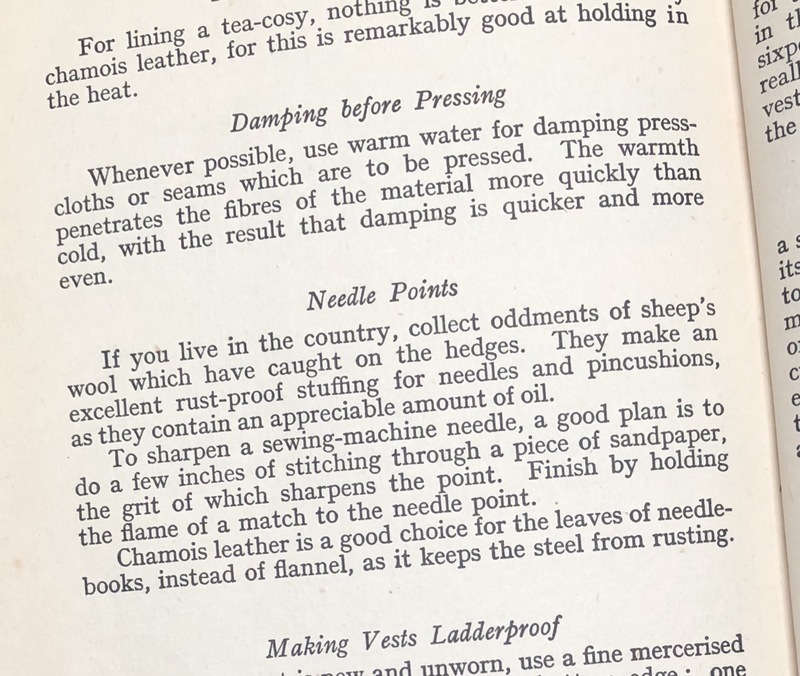 From decor to fashion, beautification to practical mending…. 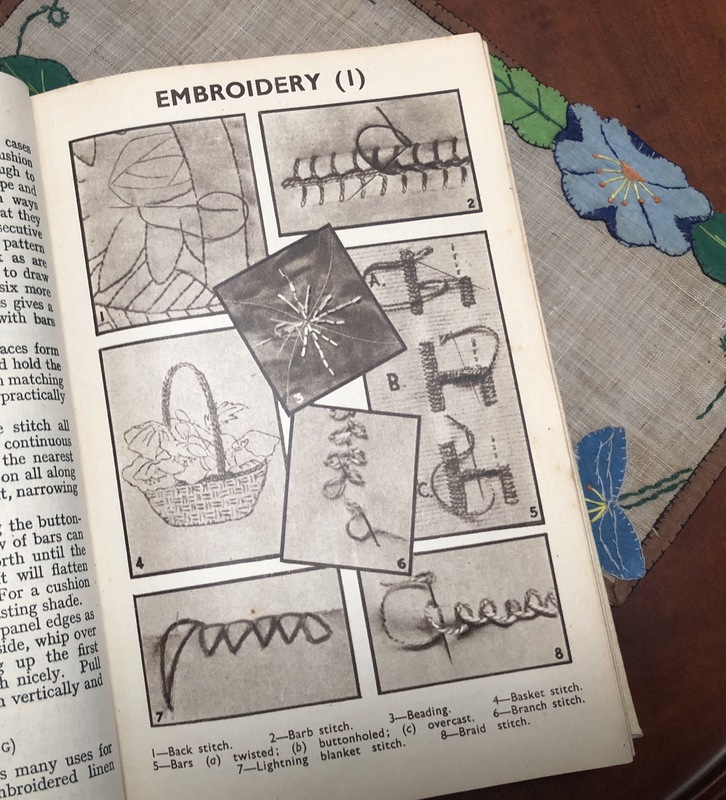 from preparation to finishing… this book is actually pretty wonderful, covering all the basics as well as how to manage difficulties you might encounter as you stitch. 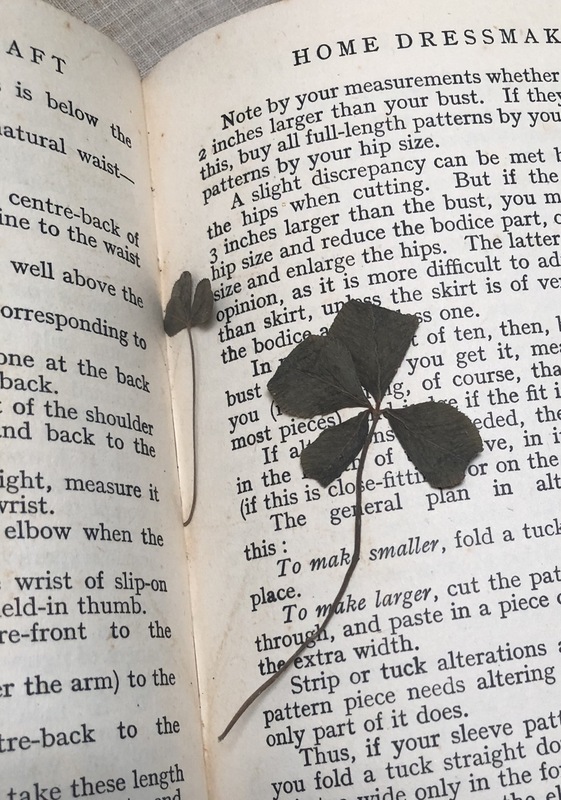 …and this very lucky find. Wonder if Mum will notice, if I sneak this “essential” volume into my suitcase. 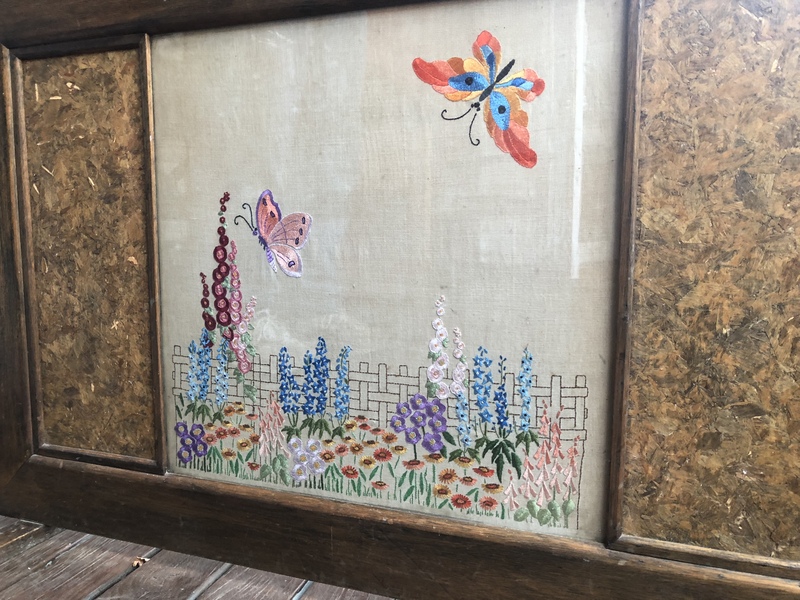 Another recent find is this embroidered firescreen. 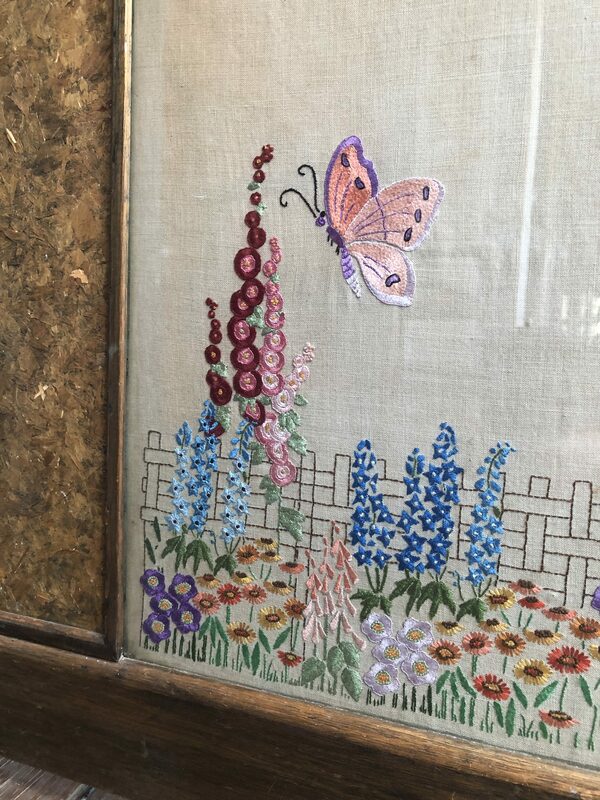 We’d love to know more about it, like when it was stitched, the type of thread, if the wooden screen was a mass manufactured piece or was specifically crafted for this embroidered piece. 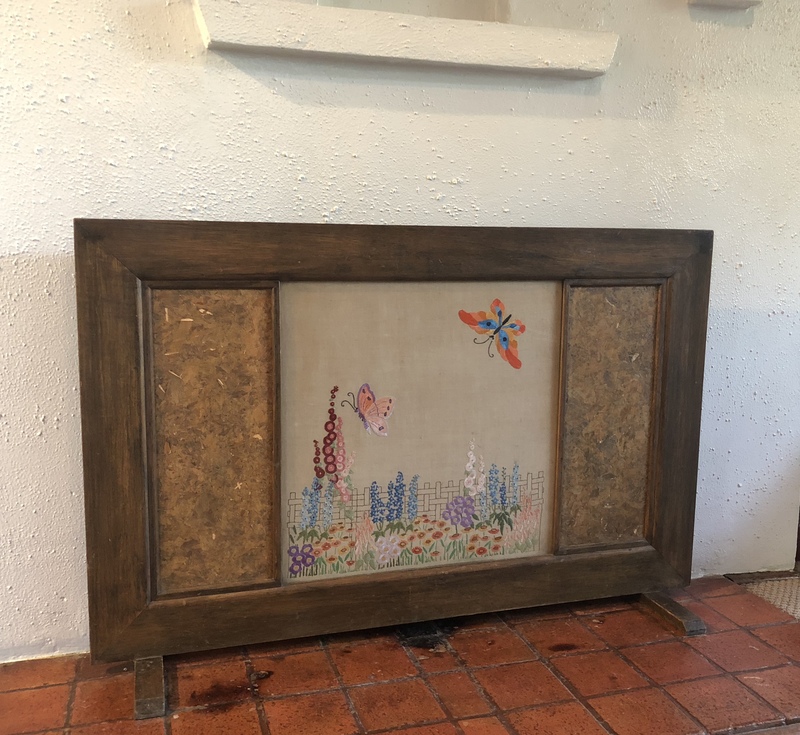 If you know anything about the history of this kind of firescreen, we’d love to hear from you. With this sheen, am I correct in assuming the thread is silk? 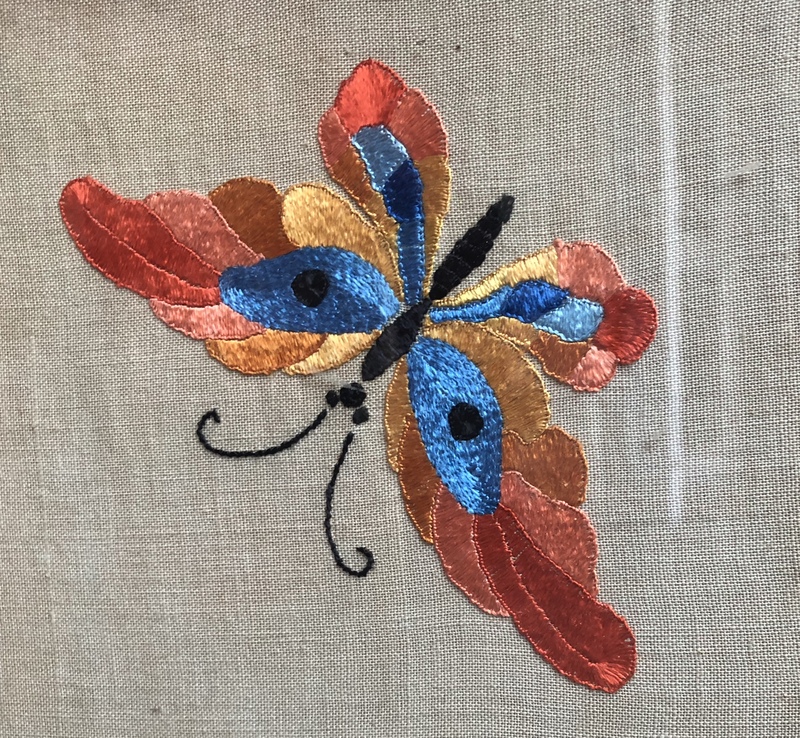 I’m inspired by stitches from our past, and am hoping you are too. 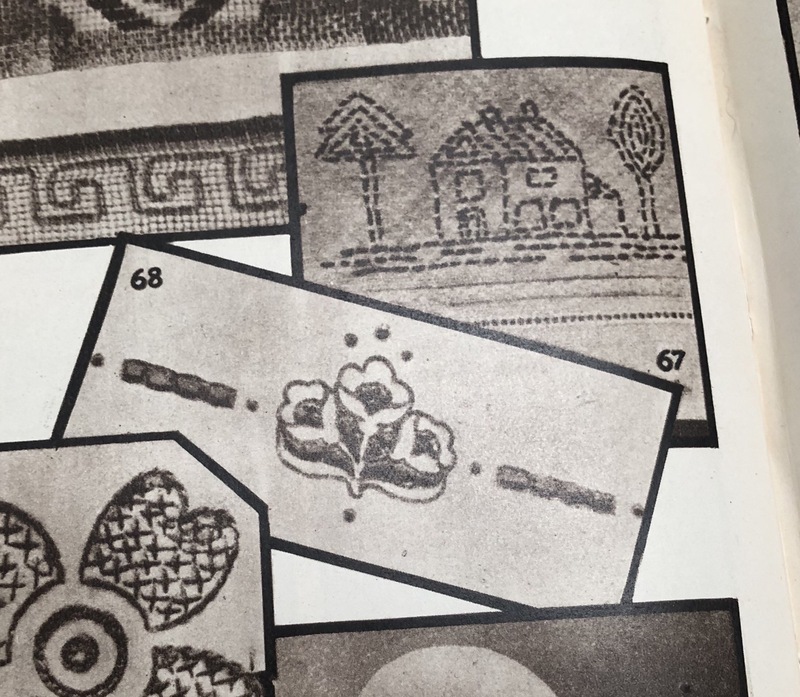 I always wonder who stitched them, when, where and what their lives were like. Wouldn’t you love to know too? 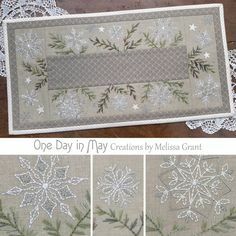 Do you follow the One Day in May Facebook page? I’m hosting a pattern giveaway there at the moment. Visit my Facebook page and scroll down to each of the giveaway posts to enter. Your mum is lucky to find this book. It has an amazing amount of tips. What a treasure. It would be nice to sit and browse through the book over time. 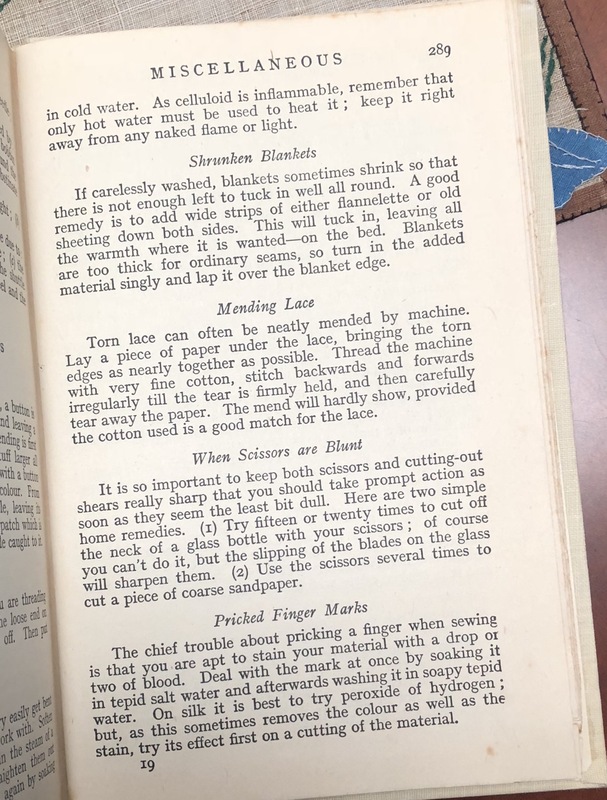 What a great little book, I read through quite alot of what you have put up and this wouldbe a great book to actually be republished as it has so many simple ideas for problems gone wrong and so helpful. What fabulous finds, Melissa. I’m so envious! 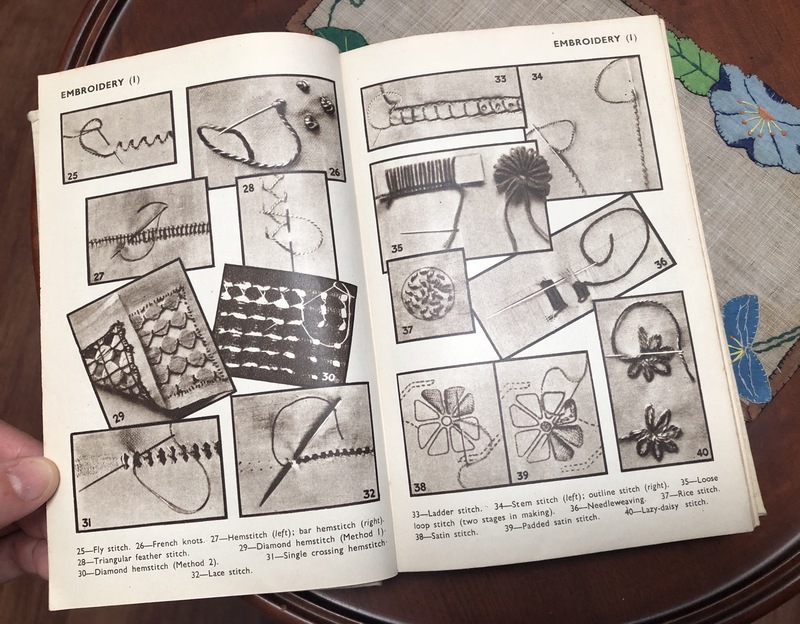 Love the book…it would be a gem and I am really into vintage stitcheries. To me they are timeless. I’m new to your site and have to say hello. 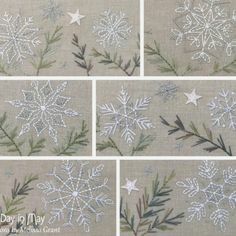 I have enjoyed crafts, sewing, embroidery and patchwork for many years. 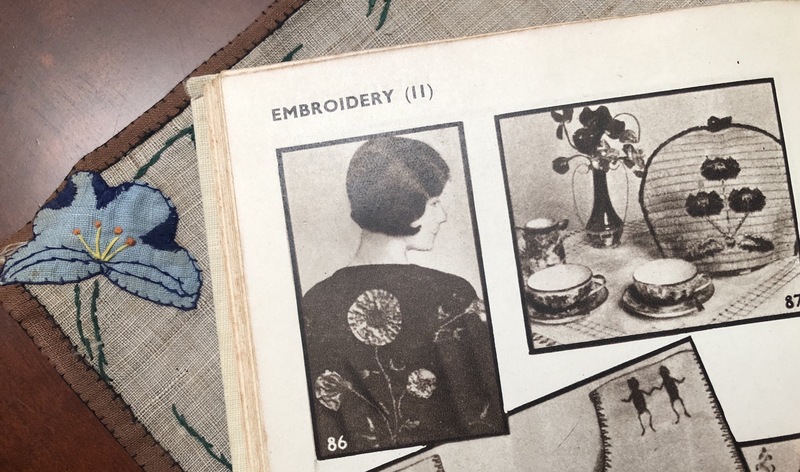 I also have a tiny collection of sewing items from our past, so you cam imagine my delight upon opening your website today. 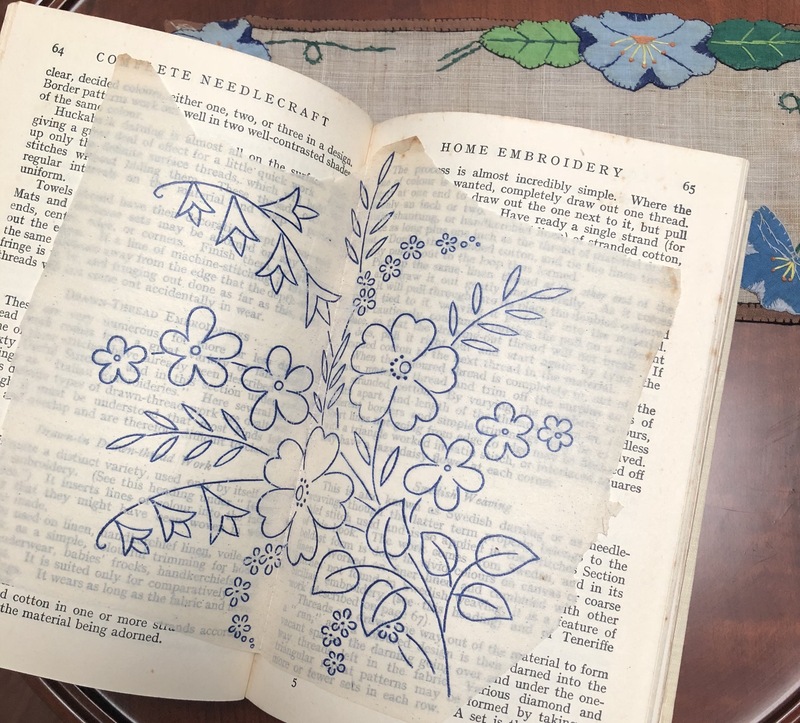 I recently purchased your Daisy Dance – Needlework Keep to have a little project to work on after I have my second knee replacement. 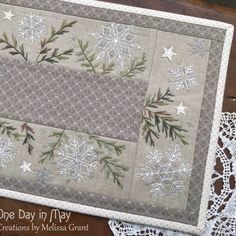 I have enjoyed making several quilts combining patchwork and embroidery using Leanne’s House patterns. 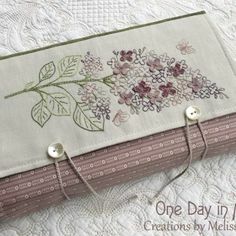 So I was drawn to your Needlework Keep and a fresh outlook with a new designer. 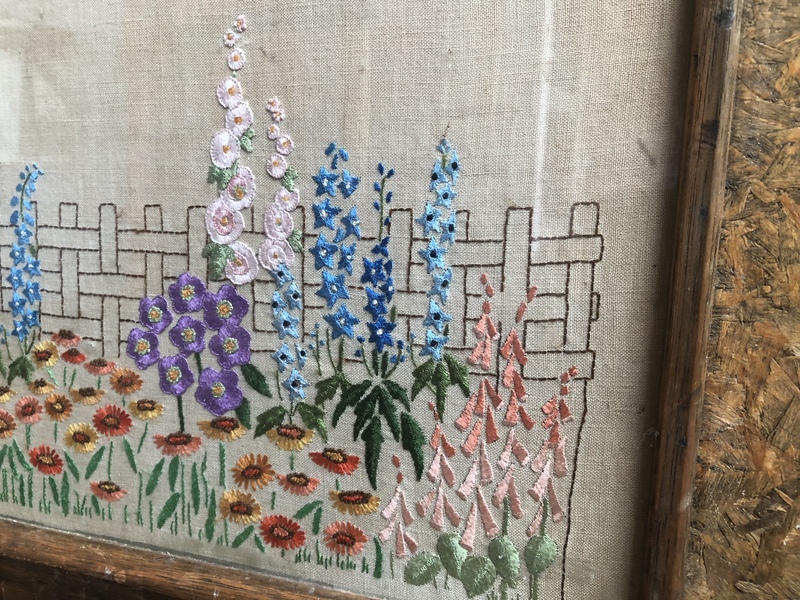 I’m quite envious of your rummaging around antique stores with your Mum……mine is in Perth and I’m on the Mid North Coast of NSW. Enjoy those opportunities and make as many memories as possible. Look forward to seeing any new ‘ finds”.